Two new Apple patents have surfaced to provide some hints at the future of the tech giant's mobile offerings, including features that could appear in the iPhone 5. One grants users a way to automatically skip undesirable streaming content, like ads or bad songs, and replace them with content from the device itself. The other simply provides some much-needed protection for the iPhone's notoriously fragile screen. It's not like Apple needs any more patents - the Cupertino company has enough fodder for court cases as it is - but these might actually turn out pretty useful. The more interesting of the two patents is for what Apple refers to as "seamless switching between radio and local media," though it'll likely boil down to more of an automatic ad-blocker for most users. If it ever comes to fruition, the feature will allow users to switch to a device's local media, like songs, podcasts or videos, while the streaming content continues to go by in the background. Once it's learned about a user's listening habits, it could even start to skip unwanted content automatically. The function employs various metadata and data services (think of tech like the song-recognition app Shazam) to help determine what to skip and what to replace it with. For example, skipping a certain song during a radio broadcast could alert the device that you don't like that artist, and it could fold that info into its overall algorithm. 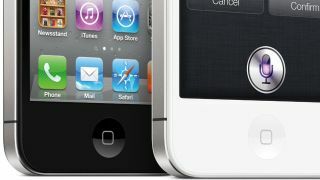 Despite similarities to the life-skipping fast-forward button in the Adam Sandler movie Click, this new patent could be revealed as a welcome addition during Apple's expected iPhone 5 announcement event on Sept. 12.
iPhone screens are notoriously delicate - or maybe they just tend to be dropped more. Either way, Apple's other new patent of the day could ensure that the iPhone 5 can survive more of a beating without a spiderweb of cracks appearing on its surface. The patent, which describes "material operative to absorb a shock to the electronic device component," was first filed by one Christopher Prest in September 2008. The material would surround individual components within the device, and a thin layer would be inserted next to the Gorilla Glass display. If Apple does reveal the iPhone 5 (and possibly even the iPad Mini) on Sept. 12, hopefully these features aren't forgotten, as they could provide the new devices a boost in the increasingly competitive smartphone market.